The Government’s Department for Culture, Media and Sport (DCMS), which oversees that national Broadband Delivery UK programme, appears to be considering the possibility of a much bigger voucher scheme that would help remote communities to access and build faster broadband infrastructure. The idea of helping digitally disadvantaged properties to gain access to faster broadband by offering a voucher scheme to subsidise the installation cost of better connectivity is of course nothing new and indeed we’ve already seen several similar approaches being deployed. This scheme ran across most of the major UK cities and their outlying areas until October 2015, which enabled small and medium sized businesses to gain access to a “superfast broadband” (30Mbps+) connection by offering grants worth up to £3,000 to each firm (designed to help cover the installation cost of new infrastructure). This scheme is still active and has been designed to offer a subsidy worth around £350 to properties that struggle to receive the Universal Service Commitment’s (USC) minimum required download speed of 2Mbps. The idea was to help around 300,000 properties and initially it was only intended as a subsidy to help cover the setup cost of a Satellite service (here), but this wasn’t hugely popular and it’s since been expanded to include fixed wireless providers. Recently other ISPs, including Openreach (BT), have also been able to make use of it via fixed line services (here). This originally provided grants worth up to £1,000 per property in WALES to help people in areas which suffered from sub-2Mbps speeds to get a faster connection installed. 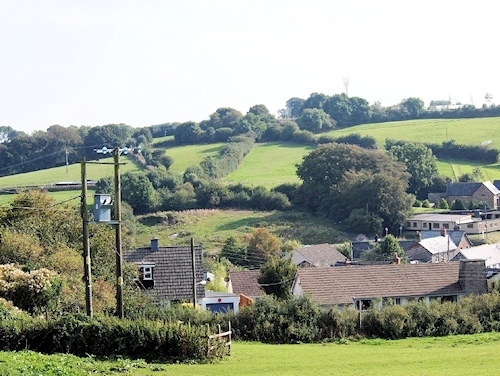 Earlier this year it was enhanced (here) and made available to all homes and businesses across Wales which “currently do not have a superfast connection” (30Mbps+). This provides assistance worth up to £10,000 towards the capital costs of helping firms in Wales to install a broadband service offering speeds of more than 100Mbps (i.e. providing up to 100% of funding on the first £3,000, then 50% between £3,001 and £17,000 and no further funding for costs of £17,001 and above), albeit only applicable to businesses in Enterprise and Local Growth Zones. A variety of similar voucher and subsidy schemes have also been setup by certain local authorities across the United Kingdom, such as the £500 subsidy offered by Devon and Somerset in England, but we won’t cover all of those. A few of the existing schemes will also be coming to an end during Spring 2017 and this could open up the prospect of an enhanced replacement. Clearly subsidy / voucher schemes are not a new idea and the Government has form in using them to help meet difficult targets, even though their impact tends to be mixed. For example, the Connection Voucher scheme may have helped a lot of businesses to get a faster service installed, but it did little to improve the UK coverage of underlying NGA network / infrastructure. Never the less The Telegraph claims that another voucher scheme may be in the works at DCMS and it would be open to alternative network providers, much like the existing ‘Better Broadband Subsidy Scheme‘, albeit perhaps more significant in terms of financial scale and scope. At present it’s widely predicted that fixed line “superfast broadband” (24Mbps+) connections will be able to reach 97-98% of premises by 2019 (today this figure stands at about 91%), which leaves around 3% of homes and businesses to suffer from slower connectivity (i.e. very remote rural areas and a few urban locations). The new legally-binding 10Mbps broadband Universal Service Obligation (USO), which forms part of the Digital Economy Bill 2016-17, is expected to focus on tackling that final 3% and Ofcom has revealed that this could cost anything from around £700m to £2bn (here); depending upon time-scale, technology choice, ambition and various other factors. So far a number of funding options are being considered for the USO, such as public funding from direct taxation, a mildly controversial industry levy (here) or simply allowing BT to take on all of the costs. The latter may of course want more favourable regulation in return, but Ofcom seem not to be playing ball (here). However so far very few ISPs, except BT and KCOM, are willing to get involved with the USO and the Government also wants to go further than the 10Mbps minimum. In that sense a voucher scheme may be able to assist and it could also be used to complement the new £400m Digital Infrastructure Investment Fund (DIIF) for alternative ultra-fast fibre optic ISPs (here). Last we not forget that BT’s co-funded Community Fibre Partnerships may also see this as being an attractive approach, particularly since they’re now able to make use of the ‘Better Broadband Subsidy Scheme’. So far 95 communities (18,000 UK premises) have benefited from this co-funded approach with the operator and a new voucher scheme could offer a big boost. Much will depend upon the detail and it’s by no means cheap to hook-up the most isolated areas (just look at Ofcom’s USO consultation), particularly if the aim is to do anything more substantial than offer an inferior quick-fix Satellite solution. As such the new scheme, assuming it is given the gift of life, is likely to offer larger vouchers than existing ones and will need to at least cater for the new USO. In any case we’re unlikely to hear more about this until the next Budget 2017 announcement or possibly later. Loved front page (and 2nd page) article in Telegraph, reference to WiFi Satellites in Church Spires and then communities getting together, pooling their vouchers and giving them to the Parish Council who will go out for 5 tenders and manage the project to install broadband in the village – AS IF a Parish Council knows one end of a broadband project from another! Next there was a reference from a government minister saying the voucher scheme is good because it means villages won’t have to rely on ‘fibre’ for their broadband. I am not sure where they think they are going to connect the WiFi to, also I love the fact that anything other than what BT delivers (FTTC) is “experimental” – forgetting that WiFi is a mature technology used all over the world. and how many villages of 500 houses, as appears to be the target for this scheme according to the article will not have FTTC to the vast majority of the houses in in it by now? Had this scheme been put in place in 2012 it might have had some validity. Sorry, Mr “Senior Whitehall Source”, but you’ve got the wrong idea of scale here. Villages that are large enough to have 500 premises are around the 91st-92nd percentile in terms of the way our population clusters into built-up areas. Any work BT or others do to get the total coverage from 90% to 95% is highly likely to include such a large village. Hamlets that have 40-50 premises (one tenth of the size of Mr Source’s imagination) are still only around the 95th percentile, so the BDUK phase 2 plus BT’s clawback work are likely to be targeting those places too. For example, look at the village of Hornby, in Lancashire. It is relatively small: the core village has around 250-300 premises or so, and comes in at the 94th percentile. It is being covered by B4RN, though it has been a slog getting coverage throughout. It also houses a BT exchange (total of 1,000 lines); the cabinet for the core village is one of five that was upgraded 18 months ago within the Lancashire BDUK phase 1 project. Four more cabinets (presumably each serving a much smaller number of premises) are down to be included in the SEP project. Putting aside the issues related to potential overbuild, it is clear that BDUK is already covering places that Whitehall are imagining. The ones needing the vouchers will look far different. Whitehall needs to either get an upgraded imagination, or to get out more. If communities were also allowed to top-up and/or self-dig, it could also bring fibre; or even pay BT (or anyone else for that matter)to extend from the nearest point that BDUK funding got them to. Why waste time with wireless? It’s OK, but not the best. It hasn’t been a waste of time for me. My main internet connection has been a 5km fixed wireless link for the past 12 months and it has been fantastic to go from ~3Mb to ~74Mb. Meanwhile Digital Scotland continue #ExploringSolutions for my village as they have done for the past several years. I’m not disputing its merits. I’m just saying that fibre has greater merits and, presented with a choice, surely fibre is better (if FTTH, that is). Depends on the cost of course. Fibre is no doubt the end goal but as Craski said Wireless can work and work very well. It all depends on how it’s deployed obviously. We’ve gone from a wireless broadcasted service where we used to see speeds of 20/20 but was getting 5/5 with 20ms ping lately because of ever increasing contention, to a fixed PtP wireless product where we’re getting 60/60 and 3ms of Ping on Speedtest.net. I’ve also tried PC gaming and it’s smooth as silk whereas before it was plagued with spikes and jitter. From someone who had lost all faith in wireless connectivity, the difference is night and day and if I didn’t know better I would think we were on fibre. It probably does if you’re stuck in a blue ‘under review’ area and the operator who might (or might not, depending on demand) connect you has no ambition to upgrade to fibre. Fixed wireless technology is developing all the time and good providers continue to upgrade and develop their networks, as seen above, and as we see from Tier 1 providers such as BT. Newer technology and design approaches (be it FTTC, FTTH, Long range wireless vs short range fibre fed MicroPop) always deliver better speeds and service. Some time ago the House of Lords recommend a ‘parish pump’ type approach where fibre backbone could be delivered to a community and then they could use this to connect their own locally delivered network, be it wireless or wireline. I still think this is the best approach and something that should be explored more. “fibre backbone could be delivered to a community” at no cost? Come back to the real world here! I am sorry to say your option of a nationwide fibre at government’s expense won’t happen either. A “digital village pump” is just a point of interconnection to fibre backhaul, right? Where the village can interconnect their own self-built network? Why can’t this be done today, using services delivered by BDUK? Say, for example, if the village built their own cabinet close to a BT FTTC cabinet. Within their own cabinet, they could locate their own fibre switching/termination equipment (much like a B4RN cabinet). And then buy backhaul from a BT-based ISP: just have Openreach install, say, four phone lines into the cabinet, and use a bonded 320/80 backhaul. FoD could be used instead, as/where it becomes available, depending on the location of aggregation nodes. This backhaul solution isn’t as nice as B4RN’s, for sure. But the self-built network for the outer parts of the community wouldn’t be much different.